For over 20 years, the Government of Sudan (GOS) and Sudan People’s Liberation Movement/Militia (SPLM/A) have been locked in a bloodbath of a war. For reasons ranging from disagreements on how to handle the ever growing famine epidemic to more notably, control of the oil in the Southern Sudan. 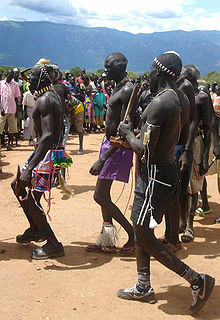 In 2005 the war finally came to a close with both parties signing the Comprehensive Peace Agreement (CPA) – which promised not only peace, but also economic prosperity for the Dinka, Nuer, Kapoeta and other indigenous groups in Sudan who have suffered unimaginably over the last 20 plus years or so. With the end of the summary killings, forced relocations, the theft of their land and property, as well as genocide, one would believe that things could only get better from here? However when is this ever the case in the world that we have grown accustomed to? As proposed in the Comprehensive Peace Agreement, indigenous groups (mainly located in the Southern regions of Sudan) were promised that 50% of the oil revenues extracted would be invested back into the neighboring regions for those occupying could reap the benefits. In 2007 the revenues from the oil extraction was estimated to exceed $4 billion(in US currency) however this never seemed to trickle down to the indigenous groups that were promised 50% of revenues as proposed in the CPA. The indigenous groups today continue to languish in abject poverty in the Southern regions of Sudan. Despite the end of the constant bloodshed, indigenous groups are still being subjugated, brutalized, and eradicated from their land. Interestingly enough, even the oil companies have joined in on the eradication of South Sudan’s indigenous groups as to further benefit from the land that these groups occupy. As the overall situation continues to worsen for indigenous groups, the more likely that violence, such as another blood filled war/rebellion will arise once again in South Sudan.